Lenders are expected to stay cautious towards China’s cash-strapped property sector as Shenzhen-based developer Kaisa’s debt woes continue to rattle the market. But they will continue to lend to larger mainland companies. “Companies from China will remain a major source of business for loan markets this year,” said Sonia Li, head of syndicated loans for Asia at JP Morgan. “But you will see a flight to quality for Chinese borrowers, particularly in light of what is happening in the real estate sector. Lenders will be very cautious to the real estate sector,” she added. China has become a bigger part of Asia’s loan markets. According to Thomson Reuters data, China was the largest driver for loan growth in the Asia-Pacific region last year, accounting for $141.3 billion in loan volume or about 27% of the total in the region. Infrastructure, project and real estate deals accounted for slightly more than two-thirds of that volume. Given the increasing exposure banks have to Chinese property, a protracted downturn could have a knock-on effect on the banks. “A lot of mid-sized and big Chinese banks as well as foreign banks have exposure to the China property sector. A big downturn in China real estate market would affect everyone but the mainland banks have the most exposure to the property market,” said Christine Kuo, senior credit officer at Moody’s. For now, however, the rating agency views Kaisa’s problems as being unique to the company and, at a briefing in Hong Kong on Tuesday, Simon Wong, Moody’s senior credit officer, told reporters that he didn’t think the Shenzhen’s developer’s problems would pose a systemic risk to the sector. “If the Kaisa case is resolved satisfactorily, such as another developer coming in and potentially buying Kaisa’s assets at fair market value, I think that would also help to ease investors’ concerns,” Wong told reporters. For now though, investors and lenders are giving the sector a wide berth. Kaisa had been subject to unexplained bans imposed by the Shenzhen government on the sale of its property projects in Shenzhen. Reports had been circulating that other developers including Fantasia and China Overseas Land & Investment have faced similar bans but the companies have since clarified that the blocked sales are due to administrative procedures by the authorities, and not violations by the companies. Lenders could also turn wary towards small-cap companies. “China is an important market but we expect more large-cap and higher grade companies this year compared to last year given the concerns over the mid-cap sector,” said Amit Khattar, head of syndicated loans for Asia at Deutsche Bank. Kaisa’s problems expose the risks that offshore lenders face. It had initially defaulted on a $51 million loan with HSBC. While it subsequently got a waiver from the British lender, other creditors have frozen some of its onshore bank accounts, and if it came down to a default, onshore lenders would get first dibs on the assets. Offshore lenders are often subordinated to mainland lenders as the loans are typically issued through offshore holding companies, using the so-called red chip structure. 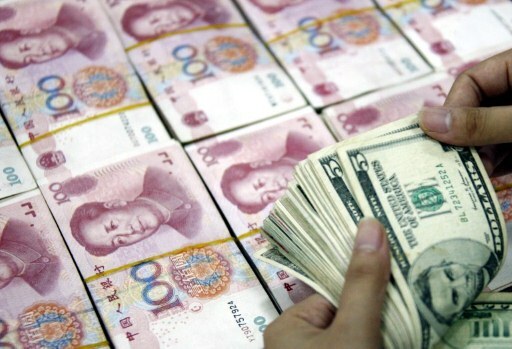 China’s State Administration of Foreign Exchange (Safe) has made moves to take away some of that subordination risk and, in July last year, relaxed the rules to allow mainland companies to use onshore assets as collateral when raising funds offshore. However, there are restrictions, and Safe has made it clear that the proceeds have to be kept offshore. “The change in Safe rules means that offshore lenders can get senior secured access to Chinese companies rather than just a red chip structure,” said Khattar. “It is a meaningful development but the number of companies using this has been limited by restrictions over the use of proceeds,” he added. Lenders have been comfortable lending to offshore holding companies, provided they are perceived to be a strong credit. For example, smartphone company Xiaomi last year tested the market with a debut $1 billion loan, which attracted 29 lenders. Xiaomi is cash rich, with no onshore borrowings. However, weaker companies are expected to come under more scrutiny now. “Lenders have become more comfortable with loans using offshore holding company structures,” said Deutsche Bank’s Khattar. “But they will be more wary about certain credits,” he added. This year could be a more challenging one for mainland companies as Taiwanese lenders are keen to keep their exposure to mainland companies down, and could look to diversify to Indian or Southeast Asian companies. “Taiwanese banks were big investors for China loans in the past but they have pretty tight China limits at the moment,” said JP Morgan’s Li. But amid ongoing market volatility, more companies could start tapping the loan markets as bond yields have risen. “Bond market volatility specially in the high yield market could see more high yield issuers trying to access the loan markets in 2015,” said Khattar. BERLIN, Jan 22 (Reuters) – Billionaire Klaus-Michael Kuehne has acquired a 7.5 percent stake at former European champions Hamburg SV after pumping in 18.75 million euros in investment and also bagged the stadium naming rights, the club said on Thursday. Hamburg, struggling to avoid relegation in the past few seasons, has been dogged by financial problems and a string of expensive but unsuccessful transfers. Kuehne essentially turned part of his 25 million euro ($29.09 million) loan to Hamburg last summer that allowed them to sign Lewis Holtby, Swiss international Valon Behrami and U.S. international Julian Green among others, into a stake in the former German champions. His investment is not only a much-needed shot in the arm for Hamburg, pushing back commitments for the indebted club, but a major hope for the long-term future of the only Bundesliga club to never have played in the second division since the top league’s creation in 1963. The billionaire will also give the stadium its old name ‘Volksparkstadion’ back from July 1, 2015 after acquiring the naming rights “initially” for four years. “For me as a Hamburg fan it was a matter of the heart that the home of the club has again its traditional name,” Kuehne said in a club statement. “I wish that the club can enjoy success at the Volksparkstadion like in the past. Hamburg’s stadium, currently called the Imtech Arena, was known as the Volksparkstadion until 2001. “We are continuing our financial consolidation with this move and have reached an important milestone,” Karl Gernandt, Hamburg football board chairman, told reporters. Hamburg are 14th in the league, two points above last-placed Freiburg. The Bundesliga resumes on Jan. 30. The risk that Russia will seek early repayment of a $3 billion bond is adding to pressure on Ukraine as it races to secure more International Monetary Fund loans. Russia has the right to call the Eurobond, bought a year ago to avert a default, if Ukraine’s public debt tops 60 percent of gross domestic product. The ratio may jump to 70 percent by Dec. 31, Moody’s Investors Service said Oct. 30. While Russian President Vladimir Putin said last month he won’t use the redemption clause on the notes, part of a bailout package signed with deposed President Viktor Yanukovych, there’s no guarantee he won’t change his mind, said Paul McNamara at GAM UK Ltd. That could weigh on Ukrainian finances, strained by a war against pro-Russian separatists, political wrangling after October elections and uncertainty about further IMF aid. Ukraine’s bonds lost 9.3 percent this quarter through yesterday, the most after Venezuela among 58 nations in the Bloomberg USD Emerging Market Sovereign Bond Index. (BEMS) The benchmark note due July 2017 fell 13 cents on the dollar in the period, touching a record-low 73.5 cents on Dec. 3. It traded at 74.3 cents by 10:13 a.m. in Kiev, yielding 22.8 percent. The new government of Premier Arseniy Yatsenyuk, approved by lawmakers this week, needs to adopt a 2015 budget and tax laws complying with IMF requirements to qualify for the next $2.8 billion disbursement. Ukraine needs the cash, part of a $17 billion loan program, to repay other debt, buy heating fuel for winter and stem the hryvnia’s 46 percent slump this year. Russia, which annexed Ukraine’s Crimea peninsula in March, has repeatedly denied accusations by NATO and the European Union that it’s supporting the insurgency across the border, which has killed more than 4,300 people and displaced 500,000. The government in Moscow will determine whether Ukraine has crossed the 60 percent debt threshold based on IMF estimates expected early next year, Russian Finance Ministry official Andrey Bokarev said Nov. 27. The ministry didn’t immediately reply to an e-mail seeking comment yesterday. The earliest Russia can try to call the bonds is after the ministry publishes preliminary 2014 GDP data in March, Halyna Pakhachuk, head of the Ukrainian Finance Ministry’s debt department, said yesterday. The government in Kiev has the right to wait with the payment until December 2015, when final GDP data is to be released, she said in a phone interview. “Our 2015 budget will envisage the whole amount needed for the repayment,” Pakhachuk said. Russia probably won’t call the bond early, according to Regis Chatellier, a London-based director of emerging-market credit strategy at Societe Generale SA, and Lutz Roehmeyer, a money-manager at LBB Invest in Berlin. While Ukraine will probably avoid default, it will seek to re-negotiate debt terms in 2016 or 2017 to prolong maturities by three to five years, LBB’s Roehmeyer said Dec. 1 by phone. Current bond prices are already reflecting such a scenario, according to the money manager, who oversees $1.1 billion of debt from emerging markets including Ukraine. Without more IMF payouts, Ukraine can’t stop the hryvnia depreciation that’s stoking bad loans and boosting the future costs of rescuing ailing banks, according to Marco Ruijer, who helps oversee $7.5 billion of emerging-market debt at ING Investment Management in The Hague. Should Russia call the bond, and if Ukraine is unable or unwilling to repay early, this could trigger a restructuring affecting other debt, according to Timothy Ash, London-based chief emerging-markets economist at Standard Bank Group Ltd. Potential losses for Russia on the $3 billion bond may not be a concern for Putin, Ash said Dec. 2 by e-mail. Since May, the San Francisco-based company has issued these advances to roughly 10,000 small businesses using $50 million of its own cash, said Square spokeswoman Faryl Ury. Eligibility is based on a business’s monthly sales and history with Square. Most of these cash advances have been for less than $10,000, and Square typically takes 4 percent, 7 percent or 10 percent of a small business’s daily card sales until the advance is paid off, Ury said. The investment comes at a time when Square finds itself in flux. While the company continues to grow—Ury said Square employs more than 800 people and processes “tens of billions of dollars” annually—the company still has not turned a profit. Another, separate investment of $100 million into Square, announced in September, brings the company’s valuation to $6 billion, but Square is also competing in an increasingly crowded payments sector against the likes of PayPal, Google and now Apple. “The pressure is on for them to really start figuring out how to keep merchants, and keep merchants that are processing on a regular basis and at a respectable volume,” said Phillip Parker, a former independent agent in the credit card–processing industry and founder of the merchant-account reviewing website CardPaymentOptions.com. According to the Wall Street Journal, electronic and mobile products retailer RadioShack Corp. (RSH) is assessing a $585 million financing package in order to save itself from bankruptcy. The financing package is headed by UBS AG (UBS) and hedge fund Standard General LP. UBS will organize $325 million, whereas Standard General will give $260 million, which will substitute a $585 million loan and credit facility from GE Capital, a part of General Electric Company (GE). Standard General and UBS do not plan to shut down stores. Rather, they will reportedly bolster the pace of renovations sought by the beleaguered company. Last Thursday, RadioShack had revealed its dwindling cash position and the possibility of filing for Chapter 11 bankruptcy, going ahead, if it fails to improve its cash balance. Despite attempts to turn around its business over the last 18 months, the company has continued to struggle. RadioShack’s core consumer electronics (including digital TVs, digital music players and digital cameras) retail business has been on a secular downtrend and is unlikely to recover in the near future. Moreover, loss of foot traffic is taking a toll on RadioShack’s mobility business – a platform which the company had been banking on for future growth. Investors’ apprehension about RadioShack’s future increased further following dismal financial numbers reported for the second quarter of fiscal 2015, on Sep 11. The company’s adjusted loss per share of $1.00 was much wider than the Zacks Consensus Estimate of a loss of 59 cents. Meanwhile, total revenue came in at $673.8 million, down 21.8% year over year and below the Zacks Consensus Estimate of $742 million. At the end of the quarter, RadioShack had only $30.5 million in cash & cash equivalent compared with $109.6 million at the end of Feb 1, 2014. Notably, comparable-store sales for company-operated stores and kiosks (stores and kiosks that have been operational for at least a year) were down 16.9% in the reported quarter, mainly affected by traffic declines and a slowdown in the mobility business. RadioShack currently has a Zacks Rank #3 (Hold). Global Cash Access Holdings (GCA) recently agreed to acquire Multimedia Games Holding Company (MGAM) for approximately $1.2 billion or $36.50 per share. This represents a 31.4% premium to Multimedia Games’ closing price of $27.78 on Sep 5. Las Vegas-based Global Cash provides services such as cash advance, ATM cash withdrawals and check services to gaming industry companies. The company also sells slot machines and jackpot kiosks. Multimedia Games primarily sells slot machines. As of Jun 30, 2014, the company’s installed base was approximately 13,167 units throughout North America. The deal is expected to be immediately accretive to Global Cash Holdings. The combined entity is expected to earn cost synergies of approximately $30 million, favorably impacting profitability. The combined entity is forecasted to yield earnings before interest, tax, depreciation and amortization (:EBITDA) of $217 million and revenues of $800 million. The proposed merger is expected to be completed in early 2015. Per Global Cash, the deal will diversify its revenue base, broaden product portfolio and enhance recurring revenue base (approximately 80%) thereby expanding margins. Global Cash Holdings believes that the acquisition provides it a significant cross-selling opportunity and will help it to penetrate new markets. Global Cash announced that it has received financing commitment from Bank of America Merrill Lynch and Deutsche Bank for $800 million Term B loan, $400 million Senior Notes and a revolving credit facility of $50 million. However, the debt financing will significantly leverage Global Cash’s balance sheet. As of Jun 30, 2014, Global Cash had cash & cash equivalents of $162 million and borrowings of $96 million. Currently, gaming operators are replacing existing machines at a much slower rate than they have historically, primarily due to the challenging environment and the need to preserve cash. Frequent consolidations have also become a norm as large established players continue to search for distressed companies for cheap. Scientific Games (SGMS) recently agreed to buy Bally Technologies (BYI), while Italian operator GTECH Spa is in the process of acquiring slot maker International Game Technology. We believe that the current deal makes Global Cash an attractive acquisition candidate in these sluggish market conditions. Currently, Global Cash has a Zacks Rank #4 (Sell).